We’re back in Iowa after a wonderful visit with Jerry Allen on the Big Island of Hawaii. 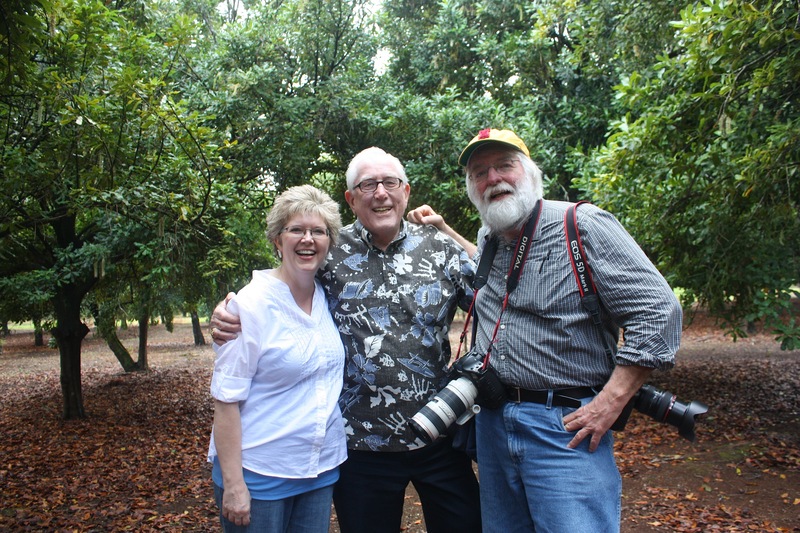 Jerry graciously flew to the island from his home on Oahu to meet us, and he gave us a tour of his macadamia orchard. Jerry’s a great teacher. He explained all the ins and outs of growing and processing macadamia nuts. It’s definitely not like growing corn in Iowa! The trees are at the end of their growing season right now, but we were able to see a few nuts still on the trees and on the ground, where they are harvested. I’ll post the Hawaii alumni stories and more photos soon.